It’s been a long time since I’ve posted. Sorry about that. I’m not giving up on this blog or Exploring Japan. It’ll continue. But right now, I’d like to share my review of Baye McNeil’s book Hi! 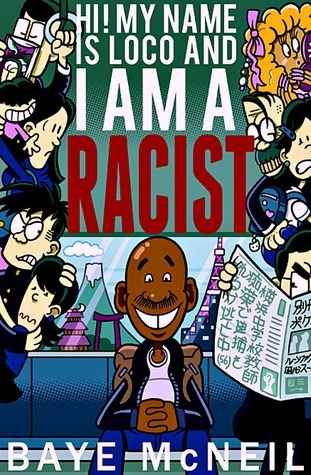 My Name is Loco and I am a Racist. Enjoy! Recently, a well known Japan blogger self-published a book. You’ve probably heard of him if you pay attention to expat bloggers in Japan. His blog is Loco in Yokohama, and his name is Baye McNeil (more commonly known as Loco to his readers). I’ve been a reader of his blog for more than 2 years now, and I’ve always found his writing very engaging. He tells it like it is, no sugar-coating, and is very honest with his opinions about living in Japan. His blog posts are sometimes controversial, but very thought-provoking. But what separates him from most bloggers is his ability to tell stories through his blog. He is a writer. That’s the impression I get from his blog. I highly recommend that you read it! Now, he’s published his first book, “Hi! My Name is Loco and I am a Racist” at Amazon and Barnes and Noble. It’s an e-book for now, but a print versi0n will be available. The title stands out, doesn’t it? I haven’t bought it yet, as I’m waiting for the print version (I wonder if I could make it to his book signing), but if his book is written as well as his blog, it’s definitely a must read! The whole thought of publishing has been in my mind for years. Ever since I was in university, I’ve wanted to write a book. I’m interested mostly in fiction, but I have been considering writing about my experiences in Japan, focusing on the stereotypes and misconceptions of Japan, while comparing its culture to that of North America. Loco went with self-publishing, which is incredibly easy to do these days. For example, Amazon supports self-publishers, and there’s pretty much no expense to the author, other than a small cut of the price of the book. A popular self-publisher can potentially earn far more than an author who goes through a traditional publisher. It’s very appealing. The problem with self-publishing, however, is getting word out about the book. You have to do all of the advertising yourself. But with a good network of people online, word can spread quickly. I’m the kind of person who loves paper books. I’d love to see any book I publish in print. However, with the increasing popularity of e-books and the diminishing importance of books in print, bookstores and traditional publishers, it seems that e-books are the way to go in the future. It’s a strange feeling, though. I’ve never actually bought an e-book, though I do read some public domain classics on my iPhone. But one of these days, I’m going to have to get Kindle and buy e-books. My book closet (yes, a closet) is overflowing with books. E-books take up no space and are easily portable. Big advantage, isn’t it? But I like to hold the book and not worry about the battery dying. So, yes, I am planning to publish a book sometime in the next 2 or 3 years. I have an entire story in my head just waiting to be put into words. It’s been in my head for 13 years, but I never got around to writing it. I have a lot of planning work done on paper, some of it written back when I was in university. Soon, the time will come for me to start the book itself. More than a month ago, Yurindo closed in Landmark Plaza. I didn’t know what I was going to do about books. 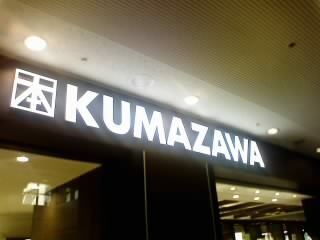 Well, on Friday, Kumazawa opened in the same location with a large foreign books section! I found my solution. Sometimes it’s difficult to find the book I want in Japan. I basically have two choices, Yurindo in Landmark Plaza in Yokohama or Kinokuniya (2 stores) in Shinjuku. The newer Kinokuniya store next to Takashimaya is the best for selection. But I often go to Yurindo, because it’s not so far from where I live. I seem to buy too many books, but it’s because I don’t know when the books will be available again. Well, I just had that experience today. I bought “The Reality Dysfunction: Part 2” by Peter F. Hamilton. I’d already bought part 1 months ago, as well as the rest of the series, but I just couldn’t find part 2 of the first book. Today, I finally found it at Yurindo! And best of all, they were having a sale. I bought it for only 150 yen. Unbelievable! By the way, I’m currently reading “Wyrd Sisters” by Terry Pratchett. I’ll have a short review of it when I finish the book. I should finish it soon.